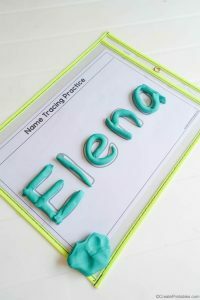 Welcome to day 7 of 10 where we explore ideas to help your child learn to spell and write their name! You can quickly jump to each day as it is indexed on this page. 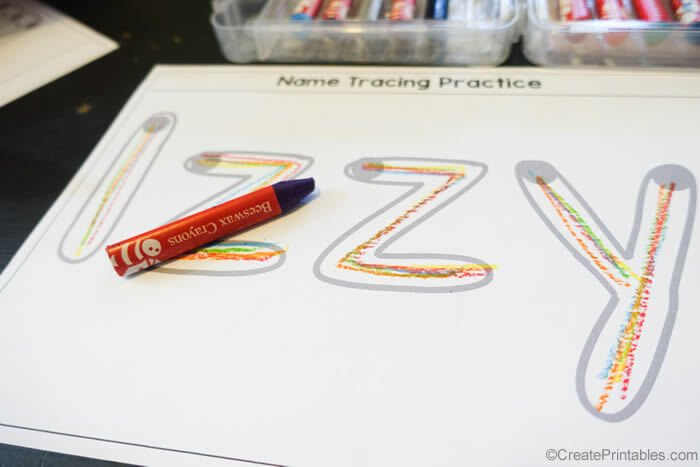 We continue to explore interesting ways to use our name tracing printables! Today we are using a simple but effective idea. 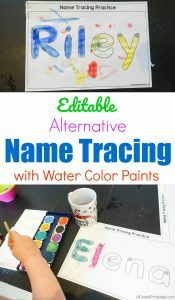 Make a rainbow! The idea here is simple. 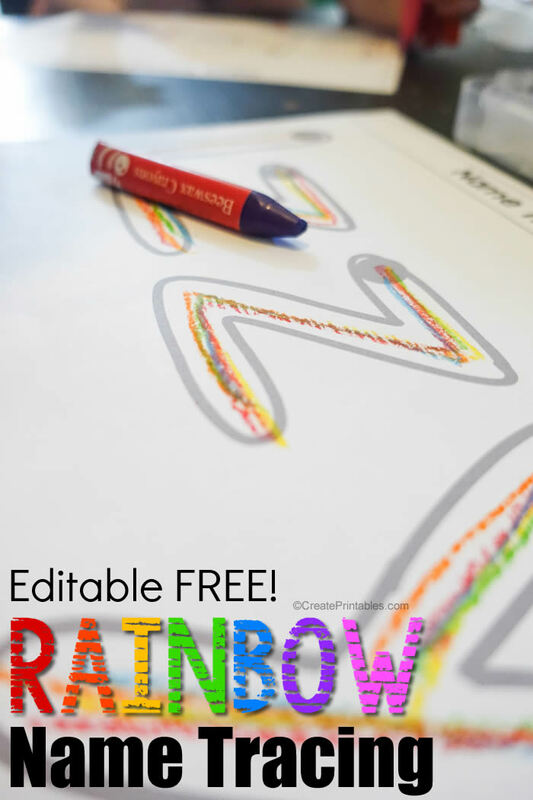 instead of using just a simple pencil we use a rainbow selection of crayons! 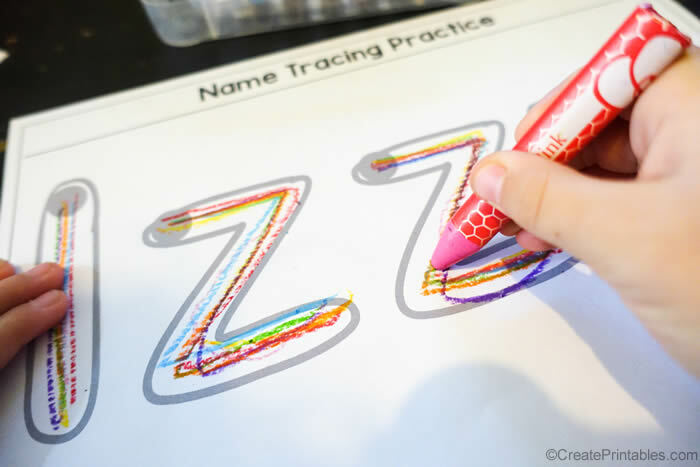 The child traces over the letters 7 times to make a rainbow and before they realize it they have traced their name 7 times! 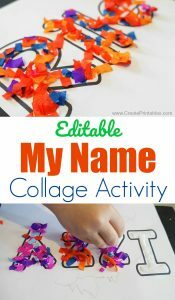 Colors to use include: Red, orange, yellow, green, blue, purple and pink if you don’t have the indigo, violet available. We love these beeswax crayons. 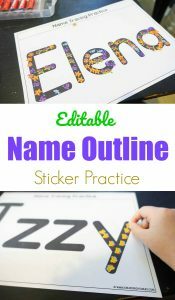 Use starting dot outline font with the name tracing printable with only 1 line.